Traditional Diwali Sweet Indian Boondi Ladoo Recipe! 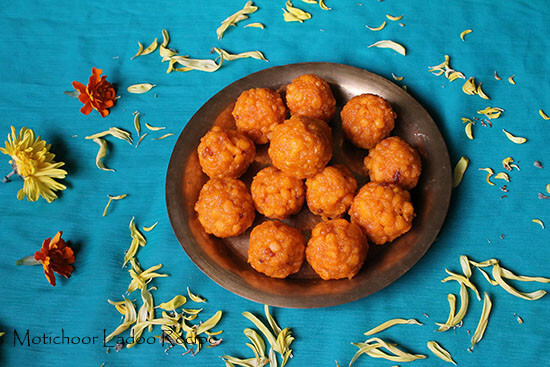 These ladoos are glutenfree sweet balls made from chickpea flour droplets and soaked in sugar syrup. 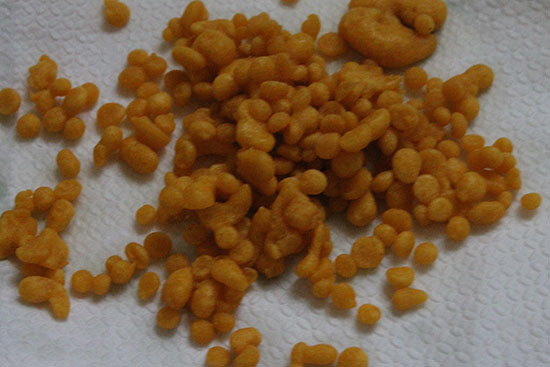 They are also known as Boondi Ladoos. My hubby loves this boondi ladoo have made a batch of fifteen out of which 2 I already gave one to my maid to taste. She loved them now waiting for hubby to taste. 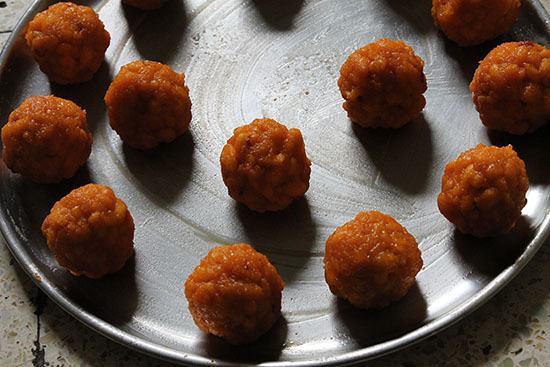 There are many methods to make this ladoo. Some add semolina some don’t however I have made the most simple and authentic ladoos. 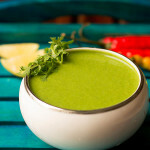 Quite thrilled and happy to share this recipe with everyone. Trust me homemade ones taste better any-day than outside one’s. 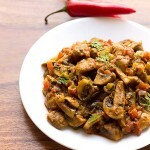 I have made a vegan version you could use ghee if you want. I assumed this is quite difficult to make but it’s not the case. If you follow the right steps it’s not so difficult. I thought baking is easy than making Indian sweets but nothing is impossible. If you have the will you have the way. Boondi Ladoo and Motichoor Ladoos are made from same batter. But boondi ladoos have big pearls and motichoor have fine pearls. Motichoor ladoos have to be grounded or pulsed in the grinder for smaller pearls. 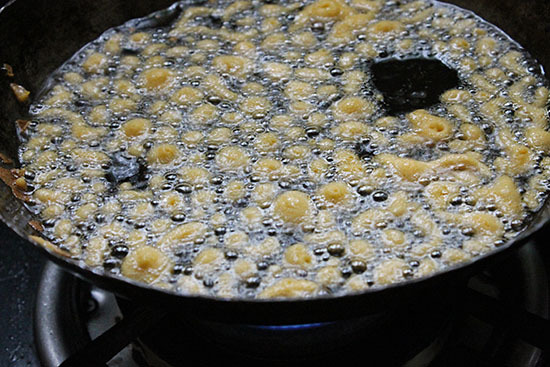 Also ghee is added to motichoor and boondi ladoos are made from oil. I have tried besan ladoo, ragi ladoo, sesame ladoo and aliv ladoo. All are tried and tested and tastes yummy. 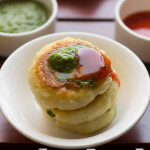 Also you could check collection of Diwali Sweets Recipes here on this link. 1. 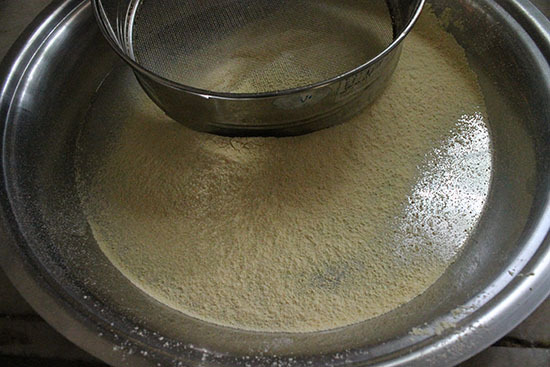 Sift gram flour and combine in a mixing bowl / vessel. 2. 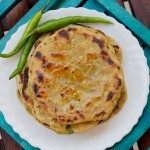 I added saffron syrup you could add orange food color Or saffron infused in milk. 3. Add water gradually and keep mixing it. 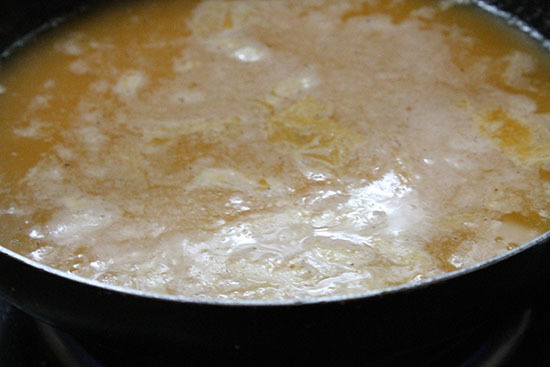 The batter should be nor too thick nor too thin. Add salt and baking soda. Mix all nicely place it aside. 4. Boil sugar and water until it reaches thread like consistency. 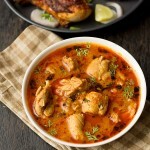 Remove scum if any then lastly cardamom powder and saffron syrup Or strands. Place it aside. 5. Take a deep vessel add oil. Add one droplet of batter and see if it’s coming up. Now take a slotted spoon and with the help of other spoon. 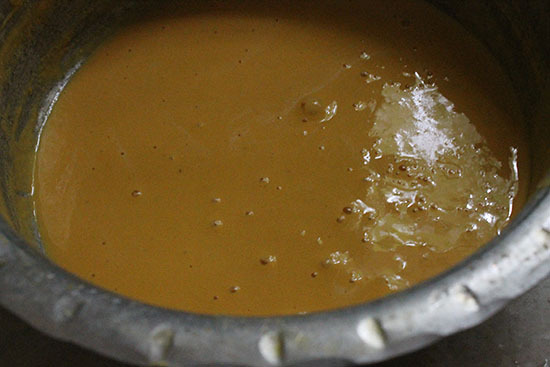 Pour the batter and keep rotating with spoon. 6. Fry few at a time. Repeat the same with the rest of dough. Just ensure the oil isn’t too hot. Please don’t fry them too much else they would become crisp. We don’t want crisp boondis. 7. Just fry for until they cooked and place them on absorbent napkins. 8. Now add them into the sugar syrup while it’s still warm. Allow the boondis to absorb the syrup should take about 20 mins Or so. I don’t have a pic for this one. 9. Apply some ghee / oil on your palm and shape into round ladoos. I didn’t apply anything on my palm as the ladoos itself had enough oil. Place them over a greased dish greased with oil / ghee. Serve Boondi or Motichoor Ladoo. 10. Garnish with pistachio flakes. These should be consumed in 2 to 3 days and store them in the fridge. Serve the boondi ladoos warm or cold. 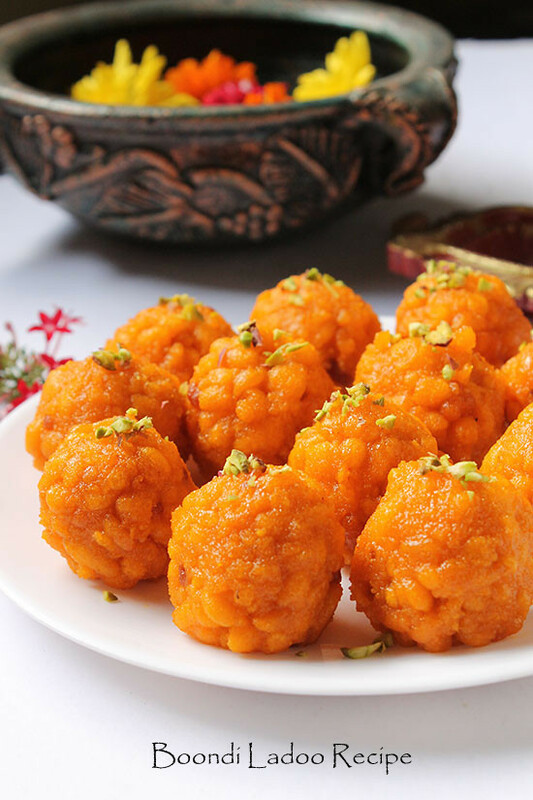 If you are looking for more ladoos and sweets then do check coconut ladoo, motichur ladoo, besan ladoo, kalalkand barfi, sweet shankarpali, phirni recipe, kashmiri phirun, gulab jamun, ragi ladoo,mohanthal recipe. Boondi ladoo are glutenfree sweet balls made from chickpea flour droplets and soaked in sugar syrup. 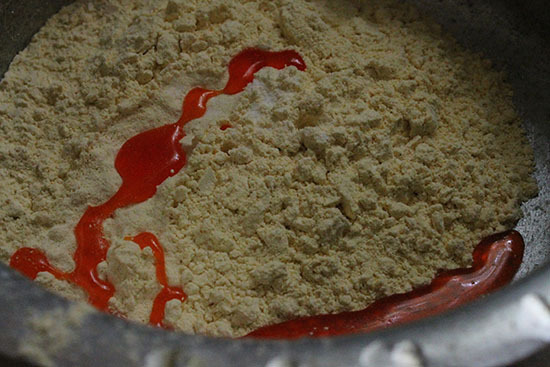 Sift gram flour and combine in a mixing bowl / vessel. I added saffron syrup you could add orange food color Or saffron infused in milk. Add water gradually and keep mixing it. The batter should be nor too thick nor too thin. Add salt and baking soda. Mix all nicely place it aside. Boil sugar and water until it reaches thread like consistency. 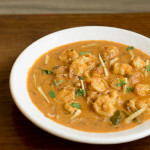 Remove scum if any then lastly add cardamom powder and saffron syrup Or strands. Place it aside. Take a deep vessel add oil. 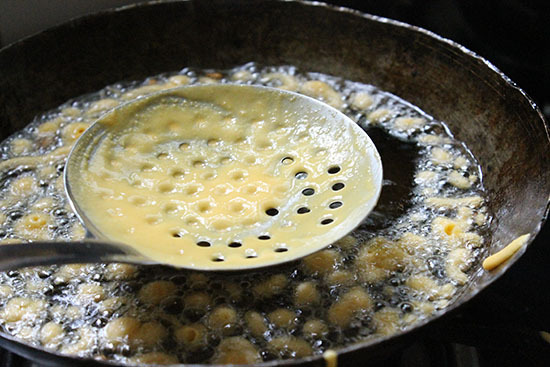 Add one droplet of batter and see if it's coming up. Now take a slotted spoon and with the help of other spoon. Pour the batter and keep rotating with spoon. Fry few at a time. Repeat the same with the rest of dough. Just ensure the oil isn't too hot .Don't fry the boondis too much else they would be crispy. We don't want crispy boondis for this recipe. Just fry for until they cooked and place them on absorbent napkins. Now add them into the sugar syrup while it's still warm. Allow the boondis to absorb the syrup should take about 20 mins Or so. Apply some ghee / oil on your palm and shape into round ladoos. I didn't apply anything on my palm as the ladoos itself had enough oil. Garnish with pistachio flakes. These should be consumed in 2 to 3 days and store them in the fridge. Serve the boondi ladoos warm or chilles. 1. It's important to use a slotted spoon for boondis. 2. Don't fry them over high heat and don't fry them till crisp. 3. I haven't added nuts if you wish you can add them in the syrup. 4. It's important the droplets soak the syrup else the ladoos won't shape properly. 5. You could keep them in the fridge for half an hour and then shape ladoos. ashok have taken your request on our file for sugrafree mohanthal thankyou. Pleased to know this Meena thankyou so much for your positive words 🙂 wish you happy diwali. Thanks a ton Rupa 🙂 I am glad you liked the pics…….. also nice to know your feedback..